The capital of Spain is a vibrant city filled with museums, cafés with incredible views towards the bustling city center and restaurants that are specialized in local delicacies and international cuisine. 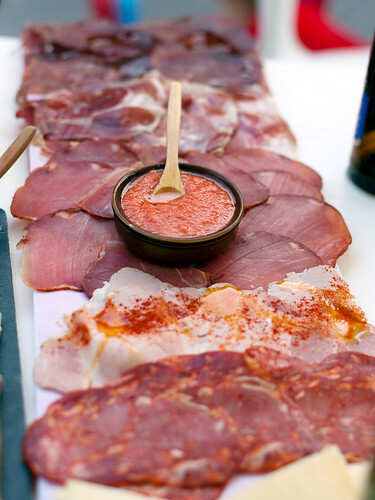 Spend an afternoon tasting tapas. The city is known for its foodie culture, which can be adapted to any budget. The city’s markets offer a large variety of fresh organic products from nearby farms, and the city center is filled with restaurants that serve traditional Castilian food. Visitors will be able to taste the thick cocido madrileño broth and a juicy lamb in most restaurants located near the historical quarter and in the nearby towns of El Escorial and Segovia. The city’s main markets are the Anton Martin, San Anton and San Miguel markets, located within walking distance of the city center. These markets offer cheap, fresh products and most markets have cafés and tapas bars where visitors will be able to enjoy a tasty breakfast consisting of freshly-squeezed orange juice and bread drizzled in olive oil and tomato. There are many Michelin starred and other prestigious restaurants in the city. Most of these restaurants are located along the main Castellana boulevard and in the Salamanca district, an exclusive district north of the city center. In the city center visitors will be able to enjoy Andalusian tapas, seafood restaurants and international cuisines. The Lavapiés district is known for its many ethnic restaurants, and is one subway station away from the city center. The nearby La Latina district is famous for its tapas bars, wine bars and clubs where visitors will be able to enjoy a caña beer and some Rioja wine accompanied by spicy patatas bravas potatoes before heading out to party until dawn in the centric Huertas district. Walk around the historical city center. The city is filled to the brim with landmarks and other historical buildings. The centric Puerta de Sol is a popular meeting spot for locals and tourists. Many hostels, famous hotels and other types of affordable accommodation are located in this area, which has a wide range of restaurants and shops. From here visitors will find themselves within walking distance from the main square Plaza Mayor and the Royal Palace. The palace, sprawled on the Plaza de Oriente square, has more than two thousand rooms. Guided tours are organized around the palace’s throne halls and forty other rooms. After walking around the halls filled with antiques and paintings by Goya and Velazquez visitors can visit the museum, which has several collections of cannons and ancient warfare. The Almudena Cathedral, another one of the city’s ancient landmarks, is located next to the palace. Visitors will be able to see many cloisters decorated with statues. Next to the palace lie the Sabatini Gardens, which are known for their fountains and paths lined with statues. Get to know Goya’s masterpieces. A trip to the city has to include a tour around its main art museums. 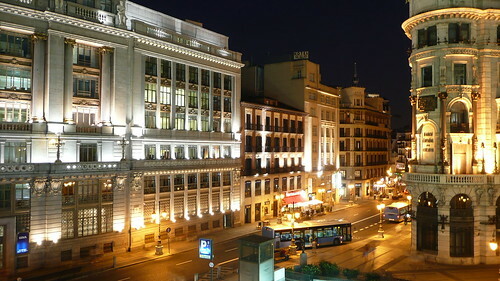 The Prado, Reina Sofia and Thyssen Bornemisza museums form the Golden Triangle of Museums, located in the city center. Nearby visitors will be able to check out the Naval Museum and walk along the Paseo del Prado, a large leafy boulevard. To enjoy views of the city, visitors can climb up to the coffee shop of the Bellas Artes Circle, located a short walk away form the museums. This coffee shop has floor to ceiling windows with views towards the city’s main streets, filled with lights. Another observation deck is the one located in the white, Gothic-style Communications Palace, a building that is now part of the Town Hall. Relax in one of the city’s parks. 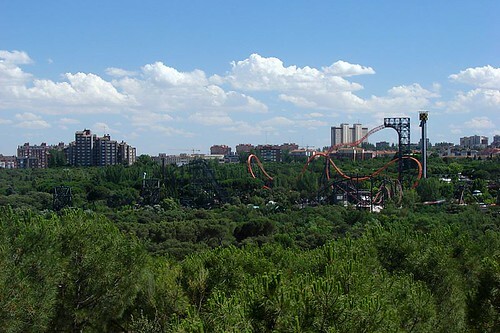 Similar to many large cities, Madrid has its own set of green lungs located near the crowded urban areas. The Casa de Campo park is located west of the city and is connected to the center by several roads, public transit and a cable car that is known for its views towards the city and the sprawling green grounds of this ancient hunting estate. The park has a lake, many jogging paths, plenty of picnic areas and a theme park filled with roller coasters next to a zoo. Another city park, this one located near the main museum area, is the Retiro park. This park has a large pond where visitors will be able to rent boats, and many gardens filled with flowers and statues. There is a waterfall and several ponds with ducks. Oh I really love Madrid… Enjoyed this post a lot, great to get back through internet some time. Makes me miss Madrid a bit though, what a wonderful city! Madrid impressed me quite a lot. Diverse, colorful and warm atmosphere. So many other cities get a lot more attention. I think Madrid is another one of those underrated places.